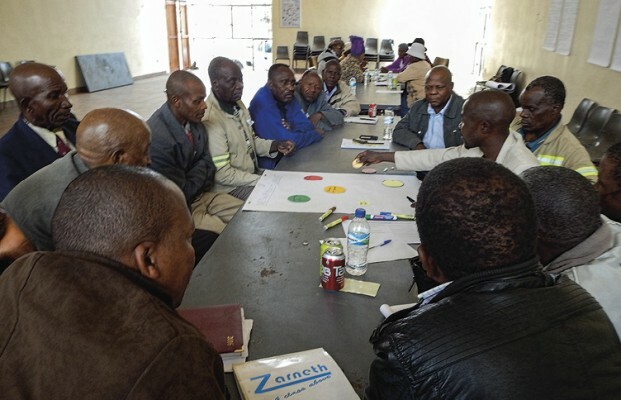 What is becoming increasingly vital is for mines to develop a deeper understanding of their stakeholders—especially mine-affected communities—and to take a proactive approach to building relationships and managing expectations. It is clear from our work in stakeholder engagement that community expectations are often driven by legacy issues; these are mostly historical issues that have not been timeously resolved to the communities’ satisfaction. Communities who have been re-settled, for instance, are often those with the most significant grievances, and these linger well into the life of the mine and even beyond. The pace of staff turnover at mines—perhaps exacerbated by the prolonged economic downturn—can aggravate the impact of legacy issues, as companies’ institutional memory is lost as a result. Often, there is a lack of proper record-keeping relating to a mine’s engagements with stakeholders, especially regarding commitments made over the years; basic documents such as agendas and minutes of meetings may not be systematically kept, or grievances may not be properly captured and attended to. Similarly, there are gaps in information held by the communities, as opposed to information held by the mines; this often results in discrepancies in information required to inform a common understanding of issues that arise through on-going engagement. The background and context to community expectations and /or grievances may therefore not be familiar to key mine personnel who are responsible for sustaining their company’s social licence to operate. We have found that a valuable tool to introduce into this process is ‘stakeholder mapping’. Ideally conducted at the start of a project, stakeholder mapping can also be applied at any time in the mine’s life-cycle to address legacy issues. This mapping process allows a mine to identify stakeholders in the community and to understand their issues; this in turn better informs the decisions around who to engage with and the strategies that must be applied —and helps to resolve the issues more effectively. By creating the basis for identifying stakeholders—and the inter-connected relationships between them—it can plot pertinent issues on a historical timeline to identify patterns in stakeholder behaviour. This process further allows us to analyse the ‘stakeholder network’—in other words, the relationships between different stakeholders—which assists us in understanding the community power- and decision-making dynamics. The end result is a stakeholder map, which is a visual representation of the respective stakeholders’ power, influence, expectations and key issues. This process also considers the vulnerability status of stakeholders, especially where this is exacerbated by mining-induced impacts. The real challenge with legacy issues, if they are left unresolved, is that they often find their way into legislated stakeholder engagement processes—that is, those forums that mines are obliged to carry out in terms of laws such as the National Environmental Management Act (NEMA), the Minerals and Petroleum Resources Development Act (MPRDA) and the National Water Act. 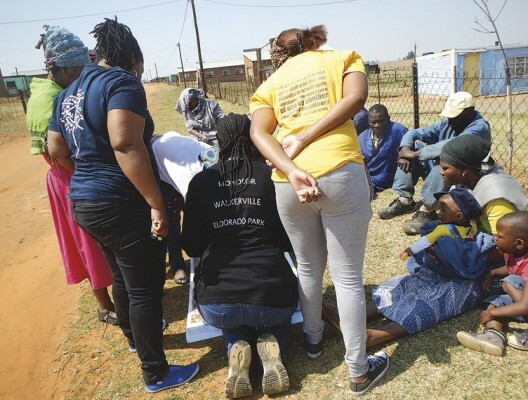 Here, legacy issues can severely disrupt the consultation processes—mainly because stakeholders feel that formal communication between a mine and communities is only conducted when required for compliance purposes, or when the mine needs community consent. 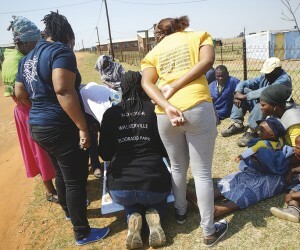 Engagement is then perceived by stakeholders as a tick-box exercise, carried out by the mine in a manner that is one-sided, only benefitting the mine. Indeed, some mines may even try and adopt a tick-box approach to avoid having to address the difficult legacy issues from years ago. While the scope of engagement in the legislated process is usually limited to issues immediately relevant to a specific project and timeframe, the communities often want to discuss and resolve legacy issues in these forums. This happens mostly where there is no regular and effective platform for ongoing dialogue, which in our experience results in the needs and expectations of a community often being overlooked or misunderstood. When stakeholder mapping is carried out thoroughly, it can create an enabling environment for constructive engagement and aid the building of long-term relationships. The aim of stakeholder mapping is twofold: to minimise the element of surprise in stakeholder behaviour, thus reducing reputational risk to the mine and maintaining a social licence to operate; and to ensure that engagement is consistent, informed, relevant and responsive. Where community stakeholders are dissatisfied because they perceive a lack of response to legacy issues, ‘engagement fatigue’ can set in. This describes the perception that the mine’s legally required forums and meetings are simply arduous, time-consuming and unfruitful—and communities may become at best uncooperative and at worst highly disruptive. It is not uncommon for community representatives to withhold the attendance register from these forums—as both symbolic and practical leverage to stall cooperation until they can meet with people further up the chain of authority. This can create serious bottlenecks for mining operations, as South African mining and environmental legislation requires formal consultation over even small amendments in the agreements with stakeholders. If communities are no longer willing to participate in these engagements, then strategic developments in the operation could be delayed or de-railed. In SRK’s work with clients and stakeholders, we analyse the stakeholder issues and identify what current mechanisms are available for capturing and resolving these issues. This process is important in paving the way towards developing a more sustainable process of stakeholder engagement, where we can design a tailor-made stakeholder engagement plan. This equips clients with a knowledge platform, assisting them in developing their own standardised practises, templates, guidelines and documents. Achieving this outcome requires a frank discussion about what stakeholders expect from the mine—and some agreement about how to clearly define and manage those expectations. This also gives the mine the opportunity to clarify its own position and key messages, so that these can be aligned across the whole company and communicated clearly at every forum. The danger of mixed messages cannot be over-emphasised, as these travel rapidly through the network of stakeholders and can cause significant confusion and costly disruption to operations. Inconsistency in the mine’s message also breaks down the hard-earned trust that has been built between parties. Mines therefore need robust systems that will effectively communicate this message, not only during the formal or legislated engagements but on an informal level during these meetings. The onus is increasingly on mines to look beyond the letter of the law where Environmental Authorisations or other legislated processes require certain defined engagements. Rather, they need to be guided by the spirit of the law, applying international good practice in search of a longer-term and stronger relationship of trust with stakeholders. Using a tool like stakeholder mapping can create a foundation for a closer understanding between parties; the benefits of this more proactive process may be seen in less disruption and lower risk—both to mining operations and to corporate reputation.